The Curtis CSS typeface is an original project by Dave DeSandro published under a Creative Commons Attribution license. This font is peculiar because it is only constructed from HTML elements with a lot of CSS. 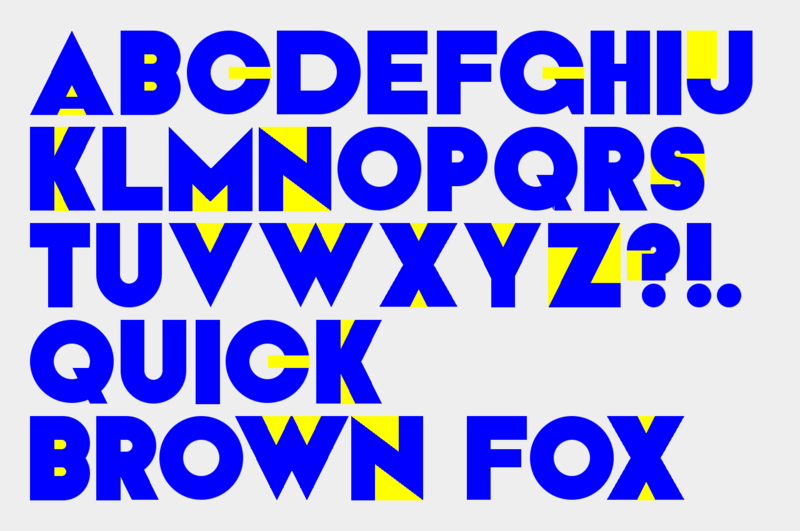 The Curtis LESS typeface is an adaptation of Dave’s project by Julien Deswaef. The ideas and objectives, behind what in the end became a fork, were to give more flexibility in the use of this font thanks to the port of the CSS code to LESS (a language that permits the dynamic generation of styles). Thanks to a number of parametres, it is now easier to change the color and size of the font. Some little improvements to the whole design have been added along the process, like for example better kerning pairs. The development of the project continues on github/curtis-less-typeface.